The year 1975 saw the darkest and bloodiest crimes carried out on the free soil of Bangladesh – the killings of Bangabandhu Sheikh Mujibur Rahman and his family and the four national leaders, Tajuddin Ahmad, Captain M Mansur Ali, Syed Nazrul Islam and AHM Kamruzzaman. What initiated such heinous crimes – only a few years after liberation – however remained a mystery to those growing up in the 80s, as the history books remained totally hushed up on the subject. Things began to come to light slowly only when the Awami League government came to power, but the series of events and conspiracy that led to murders of August 15 and November 3, 1975 received comparatively lesser attention than accounts of Bangabandhu Sheikh Mujibur Rahman's unquestionable role in the making of Bangladesh. Searching for the answer almost 35 years later, it is seen that right after independence, Bangladeshis had lost the motivation that had united them in 1971. Sheikh Mujibur Rahman, who took charge to rebuild the war-ravaged country, later became isolated from his true followers, which made it easy for conspirators and power hungry politicians to take advantage of the situation. Mushtaq's subversive role was not made public to save the image of the exile government, explains Simin. Nevertheless, when the cabinet was reshuffled in December 1971, Mushtaq was replaced by his junior colleague Abdus Samad Azad. However Mushtaq, being a close friend of Mujib, was soon brought back to the cabinet and appointed first as the minister of power, irrigation and flood control and later in 1975 as the minister of commerce. It seems Mujib never came to know about Mushtaq's role in the Liberation War and even if he did, he turned a blind eye to it. In Simin's memoir about her father, she wrote that Tajuddin would often grieve that Mujib never wanted to know what happened when he was not there in 1971. Neither had Mujib wanted to believe that his people could ever harm him, for he thought he had the capacity to even influence members of the opposition. The main actors of Mujib's murder Major Farook Rahman and Major Khandakar Abdur Rashid knew about this power in Mujib and thought the only way to remove him was his death. Whether Mushtaq's inclination for Pakistan was known to the majors, is not known but Mushtaq and his cronies in AL were nevertheless happy to get the offer for power and revenge. In fact, right after Mujib's assassination in August 15, Mushtaq wanted to make sure that a leadership vacuum was created in case his government failed. So, with Farook and Rashid, he drew up a contingency plan in the event of a counter-coup that would automatically set off a five- member “hunter-killer” team to rush to the Dhaka Central Jail and kill Tajuddin Ahmad, Syed Nazrul Islam, Mansoor Ali and AHM Kamruzzaman. According to Colonel Safayet Jamil's “Ekatturer Muktijuddho, Roktakto Modhoy August O Shorojontromoy November”, the coup of November 3, 1975 was carried out with the intentions of punishing the killers of Mujib and his family. Neither he nor Khalid Musharraf, the other leader of the coup, knew of Mushtaq and the gang's plan of the jail killing. In fact, they heard the news 30 hours after the incident took place. By then however, the indemnified Mujib's killers were flown safely outside the country, as revealed recently, with the help of the US embassy. Unfortunately, none of the governments after 1975 withdrew the indemnification given to the killers of Mujib and the four national leaders. Instead, the killers were given the opportunity to live a good life serving in foreign missions. It was only when the Awami League government came to power in 1996 that the shameful Indemnity Act was lifted and for the first time the killers were tried. Yet justice remained a far-fetched dream for the families of the four leaders. In October 2004, the lower court gave the verdict that of the twenty-one accused for jail killings three to be hanged till death, 12 imprisoned for life, and five acquitted. One of the accused had died during the trial process. Death sentence was given to Resalder (retd) Muslemuddin, Dafadar (dismissed) Marfat Ali Shah and Dafadar (dismissed) Abul Hashem Mridha, who were in the hunter-killer team but all presently on the run. Life imprisonment was given to Lt Col (dismissed) Syed Farook Rahman, Lt Col (retd) Sultan Shahriar Rashid Khan, Maj (retd) Bazlul Huda, Lt Col (dismissed) Khondaker Abdur Rashid, Lt Col (relieved) Shariful Haq Dalim, Lt Col (retd) SHMB Noor Chowdhury, Maj (Retd) AKM Mohiuddin Ahmed, Lt Col (retd) AM Rashed Chowdhury, Major (relieved) Ahmed Sharful Hossain, Capt (retd) Abdul Mazed, Captain (relieved) Kismat Hashem, and Captain (relieved) Nazmul Hossain Ansar. Among the five acquitted were the then BNP lawmakers KM Obaidur Rahman and Shah Moazzem Hossain, Nurul Islam Manzoor, Taheruddin Thakur and Additional Secretary to foreign ministry Khairuzzaman. According to Mohammad Nasim, son of Mansur Ali and former home minister, the acquittal of these convicts cannot be justified as KM Obaidur Rahman and Shah Moazzem were directly involved in the arrest of his father, Captain Mansur Ali. These two ex-cabinet members of Mujib's government joined Mushtaq and later bribed Mansur Ali's security guard to obtain information about his hiding. Since the trail was carried out during BNP's rule, Mohammad Nasim complains, the judgment was heavily politically motivated. The prosecutors appointed by the four leaders' family were forced to resign and new lawyers who acted on behalf of the accused were given appointment, he adds. Unfortunately, even the verdict given by the High Court on August 2008 was even more disappointing. Out of the three sentenced to death only Resalder (retd) Muslemuddin's death sentence was upheld and Dafadar (dismissed) Marfat Ali Shah, Dafadar (dismissed) Abul Hashem Mridha, Syed Farook Rahman, Sultan Shahriar Rashid Khan, Bazlul Huda and AKM Mohiuddin Ahmed were acquitted. 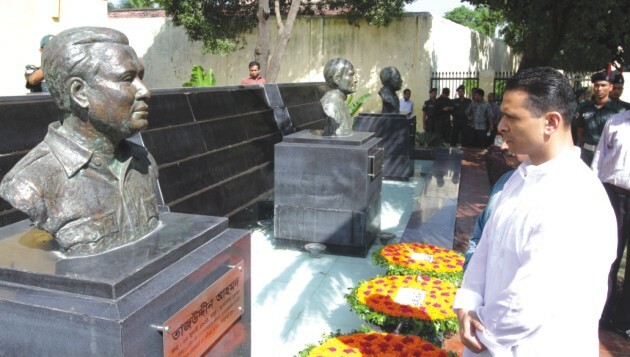 Being convicts of the Bangabandhu murder case, the latter four were hanged this year. Fortunately, the government has filed an appeal against the HC verdict in January 2009. 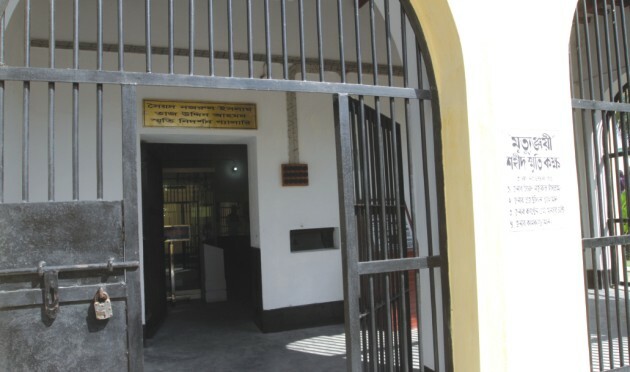 Since then there has been no significant improvement on the case until November 7, 2010 when Attorney General Mahbubey Alam prayed to the Supreme Court for retrial of the jail killing case. The Supreme Court adjourned the hearing till December 6, 2010. Tajuddin Ahmad, the first Prime Minister of the exile government of Bangladesh formed in April 10, 1971, was born in Kapasia, 28 kilometres away from Dhaka on July 23, 1925. He went to study at prestigious institutions in Dhaka such as the Muslim Boys and St. Gregory High School and later graduated in Economics and Law from University of Dhaka. Starting with Bengal Muslim League, he moved on to Awami League (AL) and in 1954, he was elected the Member of the Legislative Assembly (MLA). He was arrested repeatedly in the 60s with Bangabandhu Sheikh Mujibur Rahman for movement against Ayub Khan's rule and campaigning the six-points demand, where he made major contributions. When Sheikh Mujibur Rahman was arrested in 1971, Tajuddin, acting as General Secretary of East Pakistan AL, went to India to form the exile government. “At that time it was necessary to give the Liberation War a political identity, so that Pakistan government could not renounce it as a terrorist movement,” Simin Hossain Rimi, his daughter, explains. When Mujib came back to the new country, Tajuddin's five-member cabinet was dissolved and a new cabinet with Sheikh Mujibur Rahman as the Prime Minister and Tajuddin as Finance and Planning Minister was sworn in. However, the close ties between these two leaders soon began to wear away. Tajuddin who never gave in to adulation, was finally asked to resign after he publicly criticised the government on his return from World Bank conference on October 13, 1974. Yet his resignation on October 26, 1974 could not save his life. He was considered the most able leader who could carry the country forward with Bangabandhu's ideals. Naturally, right after the assassination of the “Father of the Nation” on August 15, 1975, Mushtaq took his much awaited revenge against Tajuddin, and immediately got him under house arrest. Unlike his other colleagues, Mushtaq did not even give him any offer to join his cabinet. 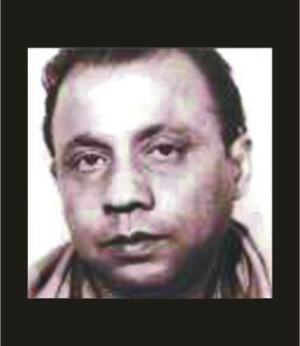 On August 23, he was taken to the Dhaka Central Jail. On the fateful night of November 3, 1975, the conspirators of August 15, who wanted to create a leadership vacuum, forcefully entered the Central Jail emptying their bullets on unarmed Tajuddin Ahmad and his compatriots of 1971, tainting the history of the country forever. The last Prime Minister of Bangabandhu's cabinet, Captain M. Mansur Ali, was born in January 16, 1917 at Kuripara in Sirajganj. After graduating in Economics and LLB from Aligarh Muslim University in 1944, he started practicing law. His entry in politics started with the Muslim League, and later he served as minister of the United Front government. In the 60s, when Mujib was in jail, Mansur Ali was the leader of the AL. After the election of 1970, Yahya's declaration of a meeting to form the constitution of Pakistan led Bangabandhu, who believed in the systematic struggle for basic rights, to call a meeting of the National Assembly Parliamentary Party on February 16, 1971. Here decisions were taken that Mujibur Rahman would be the Prime Minister of West and East Pakistan and Mansur Ali, the Chief Minister of East Pakistan. Accordingly, it was expected that in Mujib's absence, Mansur Ali would be in charge of the High Command consisting of Syed Nazrul Islam, Tajuddin Ahmad, Khandokar Mushtaq Ahmad, M Mansur Ali and A H M Kamruzzaman. However by the time Mansur Ali had reached India, Tajuddin Ahmad had already met the Prime Minister of India as representative of the Bangladesh Government in exile. It created some discontent among the Awami Leaguers, but Mansur Ali successfully calmed down the different factions and motivated everyone to work towards the liberation of the country, overlooking petty political issues. He himself took over the Ministry of Finance, Trade and Commerce. 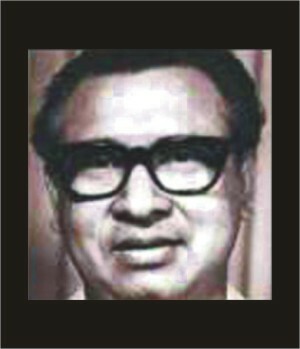 In Bangabandhu's cabinet, Mansur Ali served as the Communication minister, Home Minister and lastly the Prime Minister. He was also made the Secretary General of Bangladesh Krishak Sramik Awami League (BKSAL), a party created by Sheikh Mujib where all parliament members were obliged to join in. 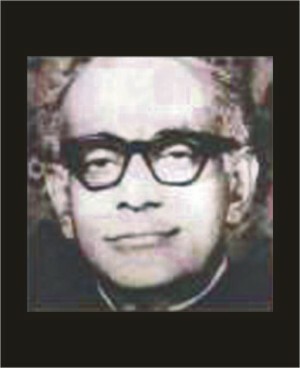 In his memoir, Dr Mohammad Selim, eldest son of Mansur Ali wrote that on the morning of August 15, 1975 when he heard the news of Bangabadhu's murder on the radio, he immediately telephoned the Army chief Shafiullah, his deputy Ziaur Rahman and Air Force Chief AK Khandakar and ordered them to take action against the murderers, who were positioned at Bangabandhu's house. However, no action was taken, instead the illegitimate government headed by Khandokar Mushtaq had Mansur Ali under house arrest from August 16. “On August 17, he was taken to Bangabhaban and was offered the post of Prime Minister. But my father Syed Mansur Ali declined the offer at Mushtaq's face,” says Mohammad Nasim, son of Mansur Ali and former Home Minister. Consequently, he was arrested on August 22 and on November 3 he was killed along with his three other colleagues in Dhaka Central Jail. Syed Nazrul Islam was born in Jamodal Dampara in Kishoreganj in 1925. Completing MA in History in 1947 from the University of Dhaka, he entered the civil service in 1949 and was appointed as a Taxation officer. However, he resigned in 1951 to work as a professor of history at the Anandamohan College in Mymenshigh while practising law simultaneously after obtaining LLB degree in 1953. Starting off with the Muslim Chhatra League, Nazrul Islam was later elected the President of Mymensingh Awami League and the senior Vice President of AL Central Committee in 1964. As a result, he had to act as the President of the AL from 1966 to 1969 when Sheikh Mujib was in jail. The turn of events in 1971 led him to escape to India, where he was the Acting President and also the Vice President of the five-member cabinet of Bangladesh government in exile. After liberation he was appointed as the minister of industries, the deputy leader in parliament and a member of the constitution committee. Later in 1975, he was appointed vice president and chief organiser of BKSAL. According to Professor Abu Sayeed's essay “Shei Ekti Telephone”, Khandokar Mushtaq had also tried to lure Nazrul Islam into his cabinet. However, when the respected politician declined he too met with the same fate as his colleagues. Born in a renowned political family in Rajashahi in June 1926, it was obvious that A H M Kamruzzaman would take up politics as his career and remain dedicated to it, till his death on November 3, 1975. Yet he did obtain a MA in Economics from Calcutta University in 1942 and later in 1956 obtained LLB degree from Rajshahi University. 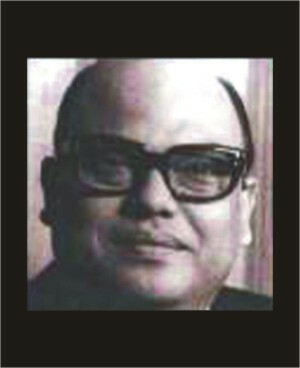 Kamruzzaman entered politics through the Rajshahi Branch of Bengal Muslim Students League and later became the Member of Parliament twice in 1962 and 1966. In 1966 he engaged himself with Sheikh Mujib's 6-point autonomy plan and in 1967 he became the General Secretary of All Pakistan Awami League. In 1969 he resigned from the Parliament in the favour of 11-point movement of the students. Being a member of the Awami League High Command, Kamruzzaman went to India to form the exile government and was given charge of Home, Relief and Rehabilitation Ministries. Later he also served as the Home Minister in Mujib's cabinet, resigning for a short period in 1973 and rejoining the cabinet as Industries Minister in 1974. He was member of the executive committee of BKSAL in 1975. After the fateful night of August 15, 1975, Kamruzzaman had taken shelter in a different house with his family. He was given the assurance that it was safe to return home, but it was a false assurance. “The day after Shab-e-barat, they took Abba. They told us that he was being taken for interrogation and in a very casual manner they said, 'We shall return him soon',” recalls Rowshan Akhter, daughter of Kamruzzaman. According to an essay written by Professor Abu Sayeed, Kamruzzaman too declined Mustaq's offer to join the conspirator's cabinet and thus automatically became one of the main targets of Mushtaq's contingency plan.